NITZANA, Israel — As Sgt. Talia Ben Tuvia scanned the Israel-Egypt border, there was no doubt in her mind that ISIS would one day attempt an attack from beyond the frontier. “We don’t see the Daesh fighters, but they are there in [Egypt’s] Sinai and are threatening to harm Israel,” she said, using another name for the extremist group. 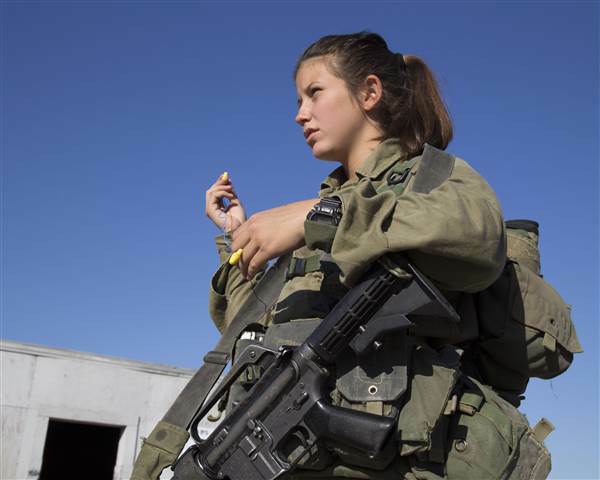 The 21-year-old is one of the female soldiers prepped for battle on Israel’s front lines. Because Karakal Battalion is the main force protecting the border between Egypt and Israel, it’s likely that any ISIS militant attempting the crossing would come face-to-face with one of the women. Since Karakal was established, the army has launched two more mixed battalions.Sgt. Kineret Hamada of the Bardales Battalion told NBC News she always knew she would be a soldier, just like her father, brothers, uncles and cousins before her.